So the name of the black Celestron 6 sitting on top of the whiter than marshmellow fluff Meade LX70 mount is Walter. I bought it from a guy in Raleigh, North Carolina. I'll leave the rest of the figuring out to you. 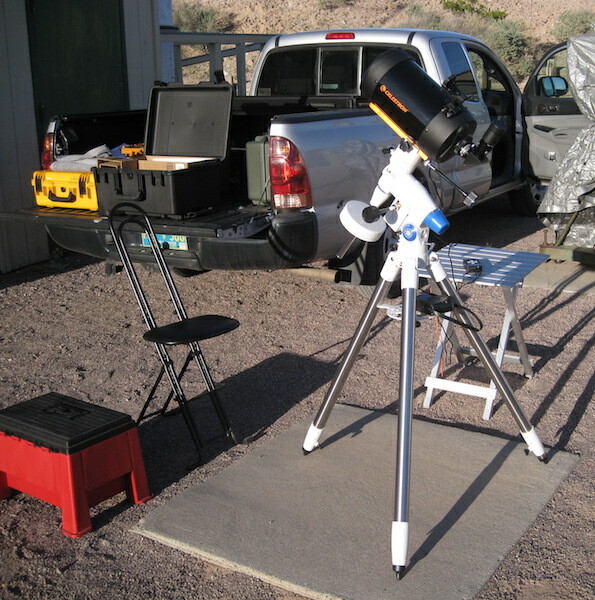 I just about always start out testing things here at the New Mexico Tech Etscorn Observatory. It's close, there's electricity if I need it, and I can just dump everything at the nearby warehouse where I work at the end of the evening and then take it home, to storage, or to my office if I intend to tear it apart and fix something, the next day. Lookie there! I remembered to bring my table and chair this time. I have a bad habbit of forgetting them. So this wasn't just a test of the new scope, but it was also an outing to test a couple of other things. One was the new LX70 tripod and mount. It's one of the smaller mounts you can get that is equatorial, and that can have a drive motor. It was on sale, so I ordered one. It's not a super quality mount, but I think it wil do. Out of the box it was a little stiff which makes it hard to balance a light load, but there's word that it will loosen up over time. It's sure got a lot of controls and locks and clutches for a 'grab-and-go' mount. I appreciate my Losmandy mount more and more every time I use one of the other mounts that I have. 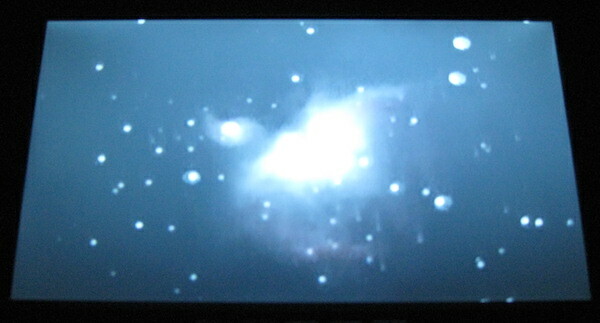 The other main thing to see was how the Revolution Imager 2 camera works with a 1500mm focal length scope. Found out with the C8 that the field of view is pretty small. 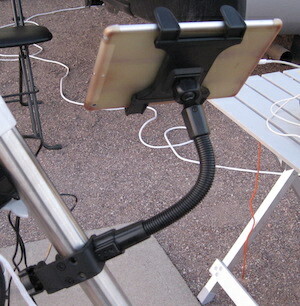 A little thing was to test how an arm I bought does holding an iPad in place at the mount. 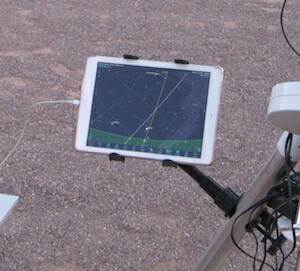 Since I've gotten all fancy and put encoders on a couple of mounts so I could follow the position of the telescope on my iPad I've had to carry the iPad around all the time. I'd been looking for a mount like this for a while and a picture in a post on CloudyNights.com lead me to this one. That picture didn't have this brand/model in it, but this one came up while searching for the other one. This Arkon Heavy Duty mount from Amazon.com is the one I got. If I lost a little weight I could sit on that arm. I initially started trying to bend it and stopped. I thought there was a piece of rebar inside the corrugated sheath. There isn't. It's just really stiff. That's good. There's nothing worse than a floppy iPad holder. The clamp is all metal. With two screws it can adjust from being able to clamp onto really small items, to quite large items. The legs on this LX70 mount are 1-3/4" in diameter. It had no problem with those. The tablet holder end is interchangeable. This holder worked perfectly for my iPad Air, and smaller one I bought worked almost perfectly with my iPad mini. The arms that grip the devices are not spring loaded. They come with different sets of arms of different lengths. The shortest set worked for my iPad Air, and the medium length set that came with the other holder were the best for for the mini. The mini is a little loose. If I wanted to run the mini in portrait mode -- which I don't really do -- I'd need to add something like some Velcro on the back of the mini. Some kind of case covering the back of the mini would help too. Since this mount didn't have any encoders, so this was just a functional test to see what the arm looked like in action. I think it will help a lot. I used a no-name red dot finder that came with the used C5 that I bought. I like it. This one might be from Orion, or somewhere like that. I've seen it a couple different places. 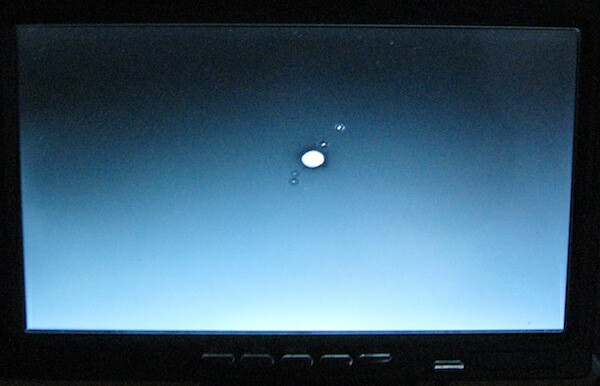 It has a 'head's up' screen that you look through and different styles of red dots (cross, big dot, small dot, etc.). I have a Baader Sky Surfer III that has two tubes you have to look through. I found this one easier to use, but I haven't used the Baader one much. The one drawback to this no-name finder is you have to have a 2mm hex wrench to adjust it. The right-left adjustment could be turned into a knob, but the up-down adjustment is right in front of the laser. Below the finder is part one of my cunning plan to get rid of all of the different finder mounting systems of six of my eight telescopes, especially that mount for the 9x50mm scope on the Celestrons. All of this doesn't apply to the Lunt 60, and I'm going to keep the original 6x30mm finder on my 1979 C8. That gigantic Celestron thing they have now oozes marketing dumbness. This Baader Standard Clamp will fit on everything I own, and each scope will get one. This C6 is first. Part two of the plan is changing the mounts for all of the different finders to fit these clamps, or, probably in the case of the Celestrons, just replace their straight through 9x50mm finder with a nice right angled finder from Stellarvue whose set of rings fit these clamps. I'm already sleeping better at night just from thinking about it. 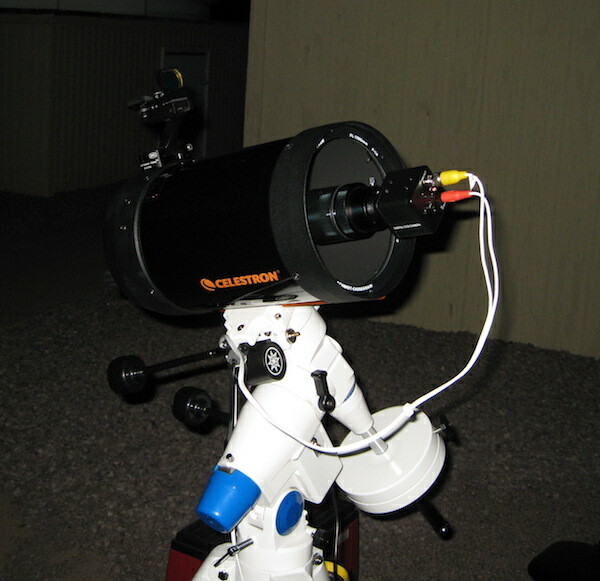 On Thursday or Friday a thread popped up on CloudyNights that announced that OC Telescopes had started selling an adapter for doing a poor man's version of Fastar/Hyperstar camera work on a Celestron Schmidt-Cassegrain telescope that was built with the Fastar secondary mirror holder. Unbeknownst to me all current era C6's are built that way. 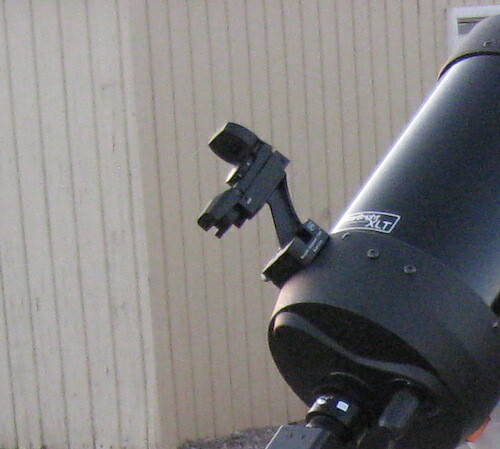 A ring can be unscrewed from the front of the secondary mirror mount and the mirror removed. This leaves a hole at the prime focus point of the PRIMARY mirror, and not the whole telescope. That's about f/2, baby! 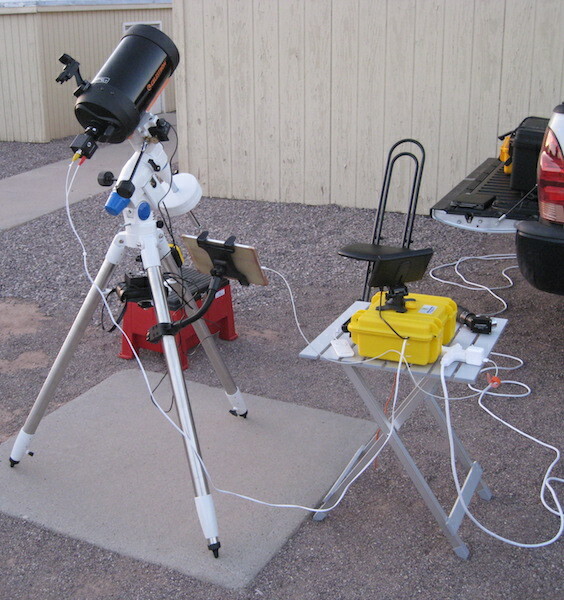 The Starizona Hyperstar system attaches an adapter to the empty secondary mirror mount that has a corrector lens, and then an adapter for attaching a camera. The picture above shows the idea. The new FunStar system is an adapter for the secondary mount, but no corrective lens. 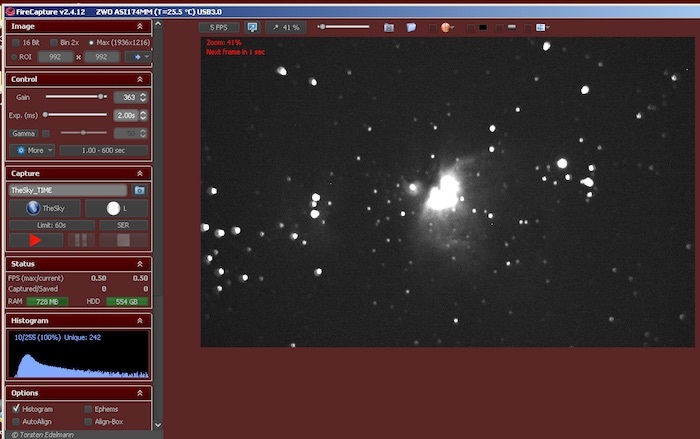 Mike Fowler at OC Telescopes is big on the R2 camera system. The theory is that the small sensor size of the R2 would, for the most part, work without a corrective lens, because the sensor is so small. The center of the image would all be aberation free, but the field wouldn't be so wide that aberation would become a big problem for the kind of imaging done with these video cameras. The f/2 over the f/10 speedup would more than make up for having to deal with a little aberation. During this discussion I realized that the standard visual back for my C6 scope would screw right on to the front of the scope. That would provide a 1-1/4" mounting point for many different cameras. Time for an experiment! Above is an obviously horrible picture of Jupiter and its moons. I'm really not grasping the operation of this camera, because I know it can do better than that, but the test wasn't to see how dumb I am, but to see if the concept would work. It does work! I got it to look a little better than this as I fiddled with the settings, and this is just a camera picture of the display. The single picture ruining factor was that I couldn't get the mount to track correctly, so image stacking was out of the question. It was moving, but not at the right rate. It is only supposed to have one rate. It did that until the end of the session. I'm pretty sure it was my fault. I guess I'll have to read the manual. How humiliating. Spun the scope around to M42 which was getting low in the southwest. That's a little better. At least it's recognizable. You can see the aberation on the stars just left and right of center. You can also see how fast the nebula was not being tracked with those star streaks. Dang it! I still think it's pretty niffty. This works fine for the C6, but for the C8 you have to have the FunStar adapter. The visual back won't screw directly on to the secondary mirror housing. I'm pretty sure I'll get one. I bought my C8 EdgeHD to try Hyperstar'ing, but I'll have to save my pennies for a while for that. A Hyperstar system is about $900. A FunStar adapter is $80. Starizona has the patent on the Hyperstar system. I'll get the mount under control and try this all again. I'm going to feel stupid when I figure out what I did wrong. Oh, Jupiter looked really nice through this C6 with a regular eyepiece during a steady atmosphere period that lasted about an hour. Good job, Walter! Later: Ohhhhh. That's what those knobs do. Tightening the clutch knobs makes things go much better. This LX70 has way more knobs and stuff than my Losmandy mount.